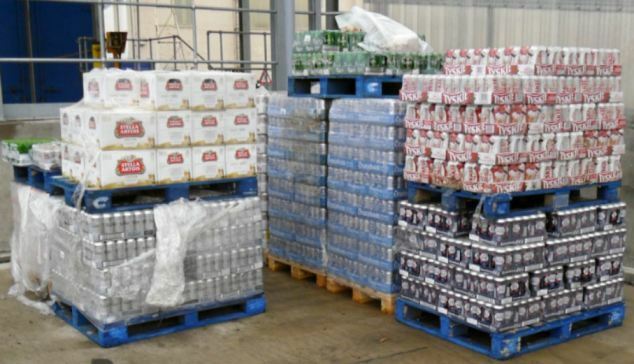 HM Revenue and Customs (HMRC) have investigated and captured two brothers from Scunthorpe, Inderjit & Amandeep Mangher, who attempted to dodge £6.4 million in excise duty by selling tax-free wine, beer and spirits intended for export. The brothers were jailed after HMRC officers found large quantities of illicit alcohol, including beer, wine and spirits at a off licence shop and garage that the brothers owned. It has been reported that HMRC undertook a covert surveillance operation which led officers to a unit at Trentside Industrial Park, North Lincolnshire. HMRC’s investigators found that the gang had attempted to disguise their illegal activities by concealing some of the genuine labels on the back of the bottles of vodka and whiskey with counterfeit ones. The operation also uncovered 2,000 litres of top brand vodka on which no duty had been paid. The alcohol was exempt from tax as it was due to be shipped out of the UK, but the brothers managed to get hold of it instead. Rather than export it, the brothers sold it to various outlets as well as members of the public and took the profits for themselves. We understand that the two brothers were originally arrested in October 2010 and later charged with tax fraud. Inderjit Singh Mangher was sentenced to four years in prison and his brother Amandeep Singh Mangher was jailed for 27 months.